It can be read on a desktop, laptop, tablet or dedicated eBook reader. It will be sent to you via email. It is available in three eBook formats (PDF,MOBI and EPUB) to allow reading on eBook readers or standard computers. The original book published in 2002 has long been out of print. This eBook edition (2017) has been updated by the author. This is the story of the people of Heidelberg(Transvaal, South Africa). The men, women and children who lived in the shadow of the Suikerbosrand mountains and on the banks of the Blesbokspruit. Although predominantly Boers, they were from all nationalities and walks of life. When war clouds loomed the people of this small dorp stood together, fought and died together, and will be remembered for the manner of their so doing. 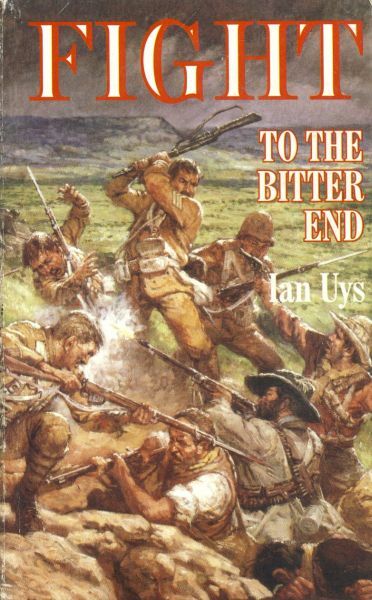 When Heidelbergers of the Boer War was written in 1980, the centenary of the Anglo-Boer War was in the distant future. At the time I had access to Heidelbergers who could recall those halcyon days, but they are now all gone. During this Centenary of the Anglo-Boer War there has been a revival of interest in the war and I was pleased to meet members of the Heidelberg HistorIcal Society, who have contmued to research the town's history. A great deal has happened politically in South Africa during the past twenty years; momentous changes have occurred which provide great challenges for the future. History has a way of repeating itself, as the Heidelbergers who survived the Anglo-Boer War also had to change and adapt to new circumstances. Their example will be followed by their descendants, who have proved themselves as resilient. Translations from the original Dutch or Afrikaans diaries and letters have been done to the best of my ability. Any errors are my own. In conformity with modem usage words which may give offense to any racial group have been changed. Otherwise the text has only been modified to conform with punctuation used. The diary of George Leversage was in English and has been reproduced as written. Much additional information has come to light and has been incorporated in this sequel. The roles played by the Van Warmelos, former Heidelberg women, in the Boer secret service is especially noteworthy. Diaries and letters of various combatants and concentration camp inmates adds new dimensions to our knowledge of the war. Among them are Boursse, D6nges, Dommisse, Jooste, Kriegler, Leversage, Mangold, Miers, Oosterhagen, Schabort, Vallentin, Van As, Van Warmelo and Viljoen. These were the people who fought to the bitter end; in many cases giving their lives for their beliefs. In the miracle of South Africa's transformation 100 years later we had learnt from them and change took place with far less loss of life. There was no need to fight to the bitter end. Ian is a descendant of Knysna's first settler of 1770. He attended Muir College in Uitenhage, played 1st team rugby and captained the swimming team then served in the Air Force Gymnasium in 1960. At the University of Cape Town he graduated B Comm and captained its boxing team. Selected as South Africa's first Commerce exchange student he worked and studied in the USA then returned to qualify as a chartered accountant. He married Barbara Bowers from London and presently has three children and five grandchildren. Their son lives in the United States, a daughter in Australia and a daughter in Johannesburg. After a few years in industry he practised in Germiston as an auditor and administered the Germiston Industries Association. Ian served as a platoon commander in the Border War and was decorated for commando activities. He has written 25 books, mainly on South African military history, and is currently published overseas. In the 1989 general election he was a candidate for the Democratic Party in the Boksburg/Germiston District constituency. At the time he was a private pilot flying from Rand Airport. After a stint in the Cape Town property industry he purchased a practice in Knysna. In 1997 he was awarded his green number for completing ten Comrades Marathons. He is a past Rotary president and a member since 1975; also a past 'Old Bill' and presently trustee of the MOTH Albatross Shellhole. From 1974 to 1994 Ian farmed in the Heidelberg area. As a member of the Heidelberg Commando, Ian Uys met the grandsons of those he writes about. He was a sergeant for some years in the commando, and served as acting platoon commander in the South West Africa/Namibia operational area. He is a co-founder of the Military Medal Society of South Africa and is past chairman of the S.A. Military History Society. In 2000 Ian founded the Bushman Valley holiday resort near Prince Albert. In 2014 he resurrected the Knysna Ratepayers' Association and served as its chairman. He and Barbara live in beautiful Knysna on the Cape south coast. Ebook version costs R100-00 and will be sent by email. It is available in PDF (Adobe) MOBI, (Kindle), and EPUB (generic ebook reader) format.